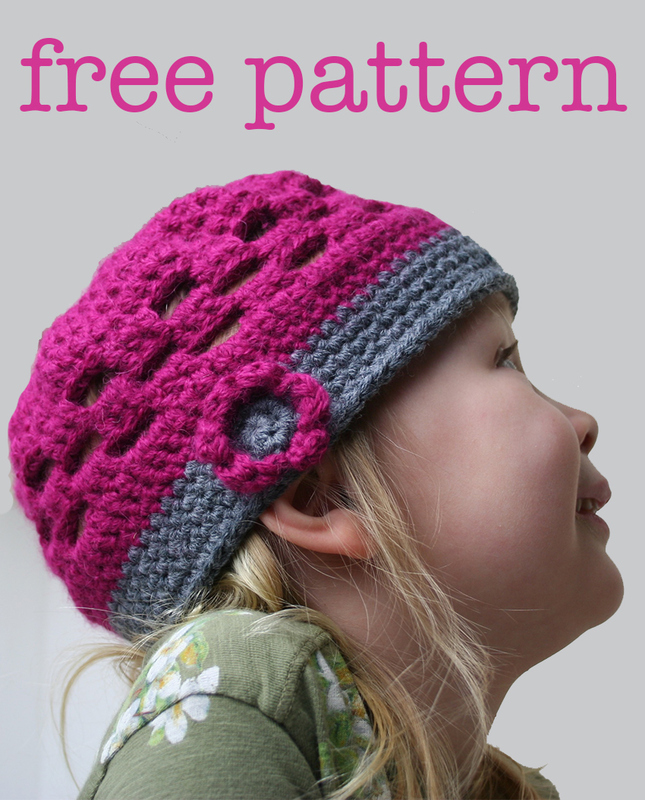 Today I’m going to share my quick and easy, cute crochet kids hat pattern. 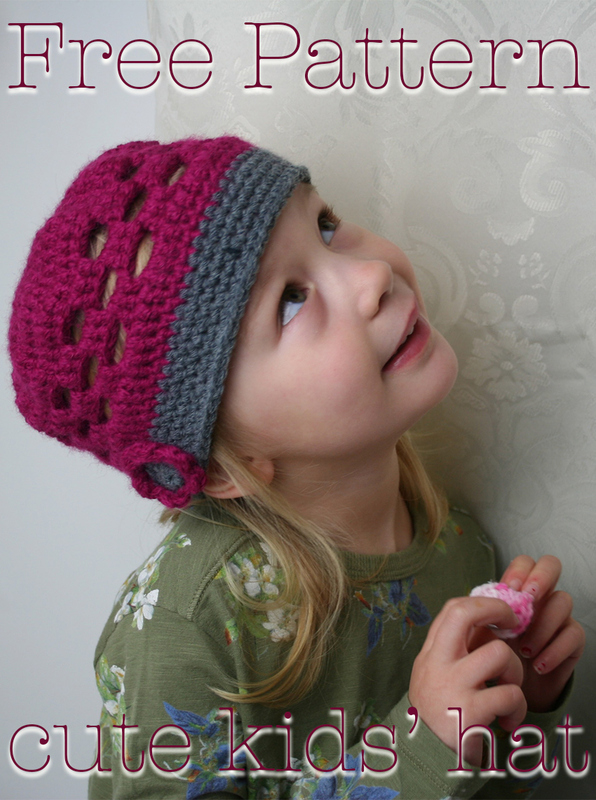 I put this pattern together this week, as I was making a new hat for my daughter. 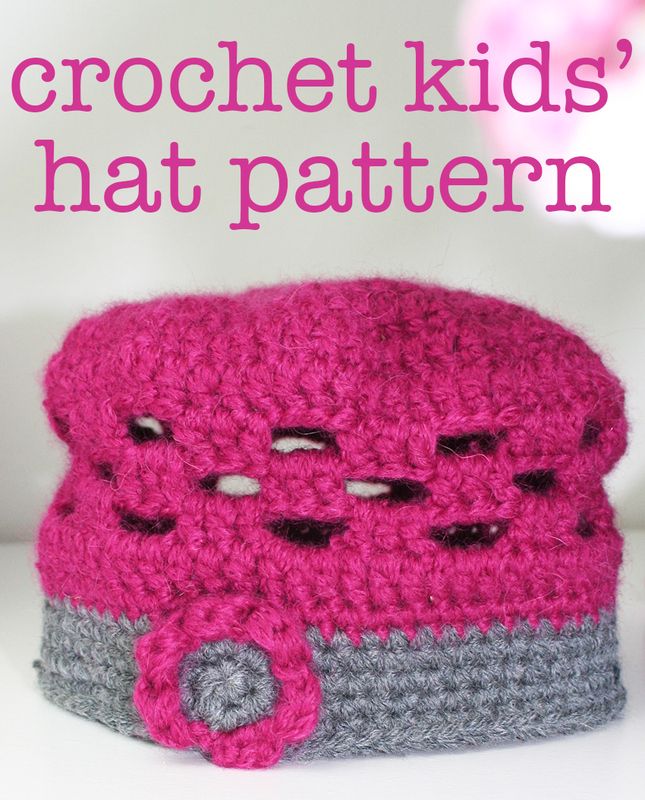 This crochet hat will fit kids from around 3 – 6 years old. This pattern is written initially in full, then once an instruction has been established, it will be written using abbreviations thereafter. You can find a handy crochet abbreviations chart in this article. 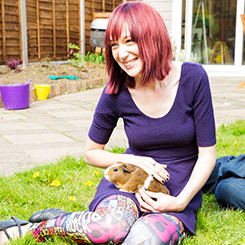 If you are new to crochet you can also find tutorials on all the basic stitches in this guide. 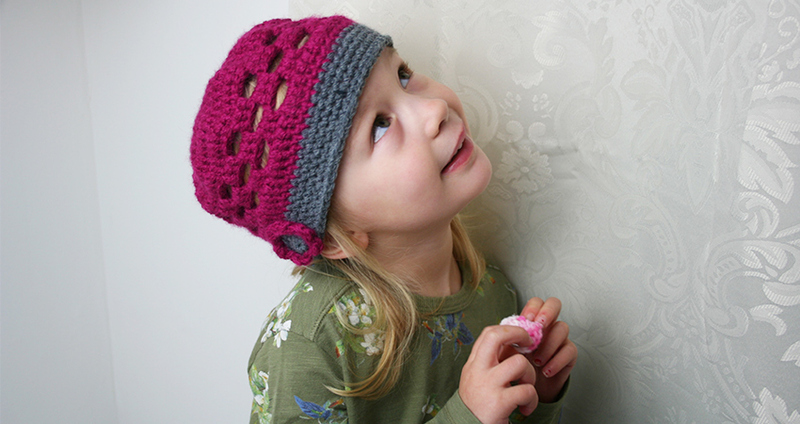 Begin using your 6mm crochet hook and ruby yarn. Make a chain of four (ch4) stitches, then slip stitch (sl st) to join as a circle. From the starting circle, Ch3 then make 11 double crochets (11dc) into centre of the ring. Ch3 then 1dc into the same stitch. 2dc into each remaining stitch. Ch3 then 2dc into the next stitch. Ch3, then 1dc into the next stitch and 2dc into the following stitch. Ch3, then 1dc into the next two stitches and 2dc into the following stitch. Ch3, then 1dc into the next three stitches and 2dc into the following stitch. Ch3, 1dc into the next two stitches. Then ch3 and skip three stitches. 1dc x 3, ch3 and skip 3. Repeat for the length of the round. At the end of the round slip stitch into the top of the first ch3 to join. Ch6. Make 3dc into the chain gap, then ch3 skipping the next three stitches. 3dc into the chain gap, then ch3 skipping the next three stitches. At the end of the round slip stitch into the 3rd stitch of the starting chain six. Ch3 then 2dc into the next chain gap. Then make a Ch3, skipping the next three stitches, then make 3dc into the next chain gap. Ch3, skipping the last three stitches, then slip stitch into the top of the starting ch3 to finish. Ch3 then make 1dc into the next 2 stitches. 3dc into the chain gap, then make 1dc into the next 3 stitches. Repeat for the round. Ch2 then make 1sc into each stitch. At the end of the round slip stitch into the 2nd stitch of the starting chain six. Ch2, then make 1sc into each stitch. At the end of the round slip stitch into the top of the chain two. Ch2 then make 1sc into each stitch of the round. At the end slip stitch into the top of the chain two. 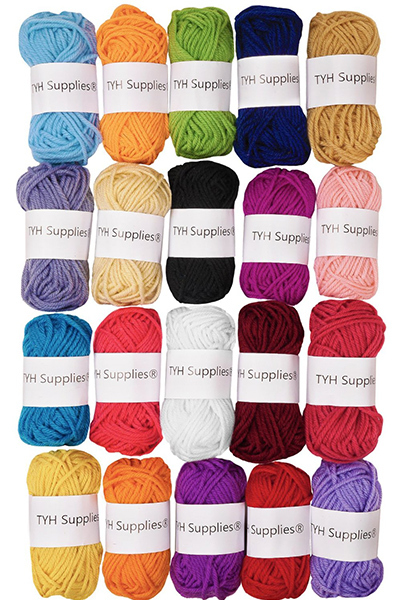 Start using your grey yarn and 6mm crochet hook. Sl st into the next stitch, make 2dc into the following. Repeat sl st, 2dc to round’s end. Then tie off and cut a length of yarn. Using your yarn needle weave the loose ends of the yarn into the flower, matching the colors to disguise the thread. 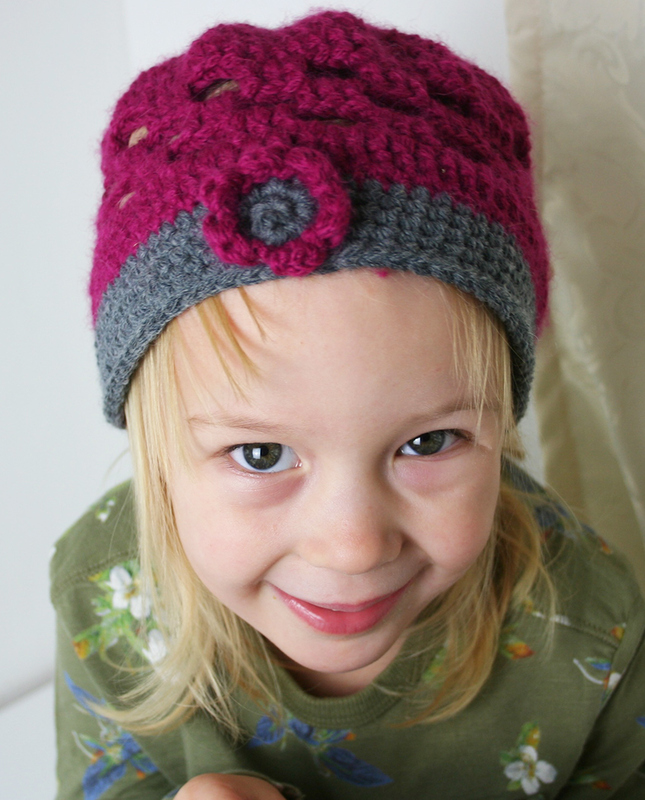 Then use one of the long central strands of yarn to sew the middle of the flower onto the edge of your crochet hat. When you have finished, using your yarn needle again sew any loose ends from the hat into the body and cut off to finish. It’s been very cold lately, and I wanted something that was warm but that she also wouldn’t pull of her head as soon as my back was turned. The solution was to make something I knew she’d love. I let her decide the colors and decoration, and I hope you like the results as much as we do. But if it’s not quite your kid’s cup of tea, then this simple pattern is easy to follow, but also hopefully simple to adapt too. 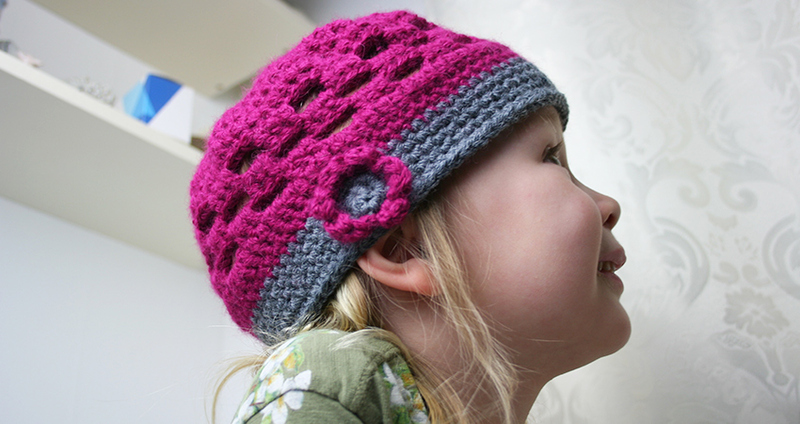 Choose a yarn color and decorations that your kid prefers, and you will have a new cute crochet kids hat that is unique to them too.